The 2018 In Union County Photo Contest (“Contest”) is sponsored by the Union County Chamber of Commerce (“Chamber”). The “2018 In Union County Photo Contest” is a photography contest encouraging residents of Union County, NC, 18 years of age & older, to share their original photographs depicting aspects of life in Union County, NC. Photos should depict any aspects of life in Union County, including but not limited to: family life, work, play, nature, industry, festivals. 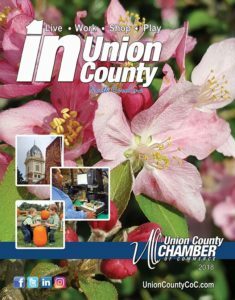 We are seeking photos to be published in the Chamber’s 2019 edition of the annual newcomers’ publication, “In Union County”. The contest entry period begins at 8:00 am July 2, 2018 and ends at 5:00 pm July 31, 2018. During the contest entry period, entrants may submit up to ten (10) photos. By participating in the Contest, each entrant unconditionally accepts and agrees to comply with and abide by these Official Rules. Entries are limited to ten (10) per individual. Entries are to be submitted using the form below. Click here to read all the contest rules. Photo comments: name of, place, event, etc. You may upload multiple images per submission. The maximum size of all your files uploaded per submission is 20 meg. If your submission times out, try uploading one file at a time to accommodate your internet connection and speed. You should see a Thank You message if your photo(s) is submitted correctly.